PLAYING WITH SUGAR: Pioneer Woman's Perfect Pot Roast (and a tale of how a former vegetarian learns to cook a big piece of meat). Pioneer Woman's Perfect Pot Roast (and a tale of how a former vegetarian learns to cook a big piece of meat). This is actually the second time that Brian and I have made this recipe. I will FULLY admit the first time he even mentioned it I was like "Huh? You want to make what?" As some of you know, I had been a vegetarian from 2004 until 2010 (see, I told you A LOT has changed since I first started blogging!) so when Brian mentioned this, I knew it was going to take some research and learning on my part. I allowed him to choose the piece of meat (I still do this most of the time, but I will say I "think" I'm getting better at it and back into the swing of feeling welcomed into the meat department at our local grocery store). We both set out with determination, laptops, Pinterest, Tastespotting, and Foodgawker and of course hungry bellies. 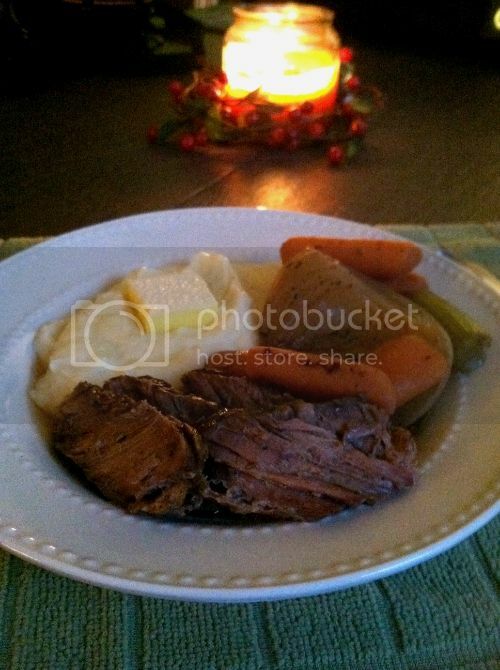 We knew we found a good one when we both set our sights on Pioneer Woman's Perfect Pot Roast. I mean c'mon, its from The Pioneer Woman! How could it not be the perfect recipe? You can learn more about The Pioneer Woman (although who doesn't know who SHE is???) and you can find the original recipe here. Let me just tell you, neither time we made this were we disappointed! It was delicious not once but TWICE! I think the thing that really surprised me was how easy it was overall. It took very little work (besides impatiently waiting) for what ended up being a very nice meal! We paired it with some mashed potatoes and had a very nice, fancy shamancy home cooked meal! It's definitely a keeper and a recipe we will use for years to come! We hope your family enjoys it as much as ours did! 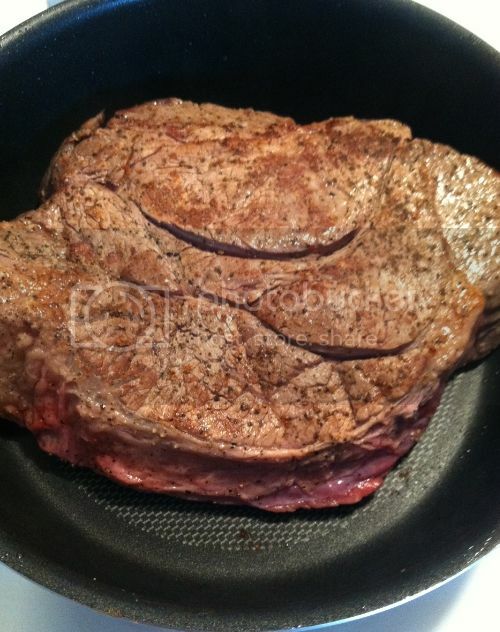 First and foremost, choose a nicely marbled piece of meat. 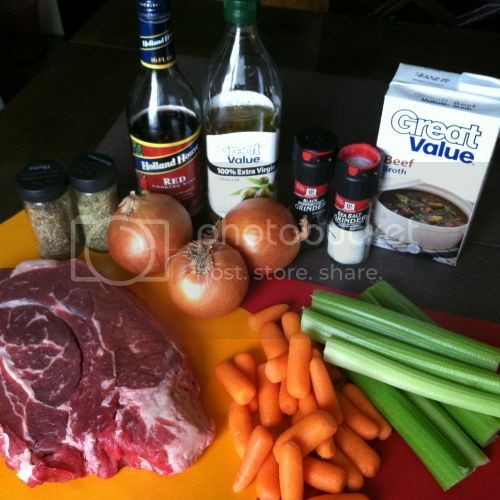 This will enhance the flavor of your pot roast. Generously salt and pepper your pot roast. Heat a large pot or Dutch oven over medium-high heat, then add 3 tablespoons of olive oil (or you can do butter/olive oil split). 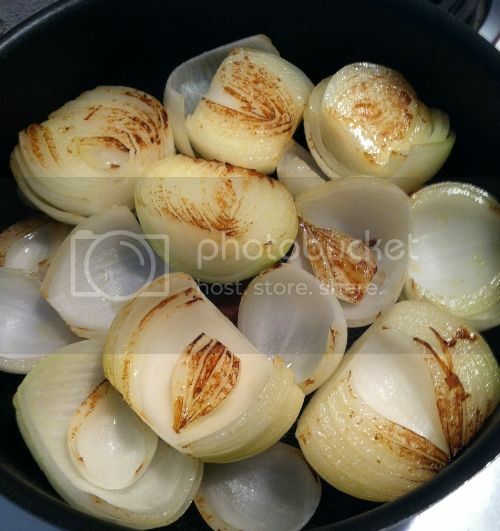 Cut 4 medium yellow onions in half and when the oil in the pot is very hot, add in the halved onions, browning them on one side and then the other. Remove the onions to a plate. 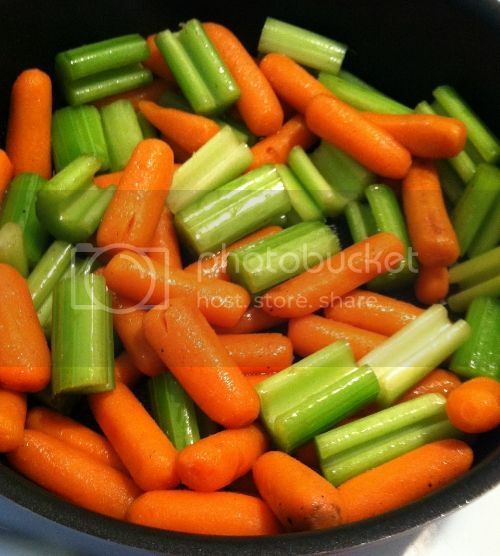 Throw the carrots and celery into the same very hot pan and toss them around a bit until slightly browned. About 1-5 min or so. 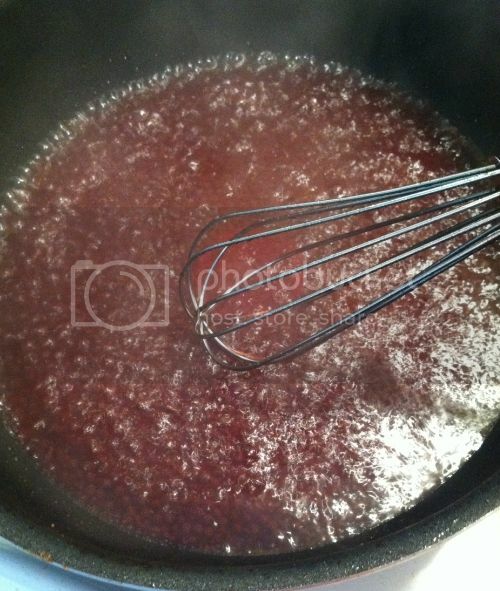 With the burner still on high, use either Red Wine or beef broth (about one cup), to deglaze the pan, scraping the bottom of the pan with a whisk to get all of the flavor up. When the bottom of the pan is sufficiently deglazed, place the roast back into the original pan or roasting pan (if using a separate roasting pan, pour red wine/beef stock deglazing liquid over it) and add enough beef stock to cover the meat half way (about 3-4 cups). Add in the onion, carrots and celery (as well as dried thyme and dried Rosemary). 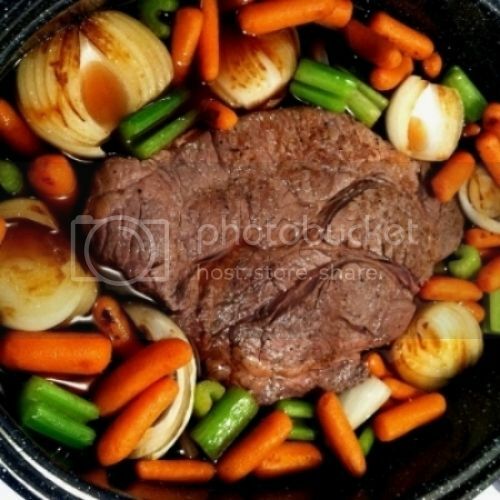 Put the lid on, then roast in a 275 degree F oven for 3 hours (for a 3 pound roast). For a 4-5 pound roast, plan on 4 hours.